A clause often contained in property insurance policies stating that the insured cannot abandon damaged property to the insurer and demand to be reimbursed for its full value. A fortuitous, unexpected, undesigned, unintended event occurring suddenly . In a life insurance policy, benefit in addition to the death benefit paid to the beneficiary, should death occur due to an accident. There can be certain exclusions as well as time and age limtis. Business accepted by a company which normally would be rejected according to a strict underwriting standard, but which is accepted because of the relationship of the agent to the company or the client to the company and agent. The report of premium transactions, usually on a monthly basis, either provided by the agency to the company, or by the company to the agency. Designation offered by the Insurance Institute of America (CPCU/IIAA) that stresses the production side of insurance, with study in personal and commercial property and liability contracts, sales and agency management. 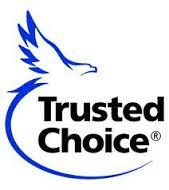 Designation offered by the Independent Insurance Agents of America (IIAA) that. stresses the service side of insurance, wit h study in commercial and/or personal lines insurance contracts, account development, errors and omissions, and quality customer service. An amount equivalent to the fair market value of the stolen or damaged property immediately preceding the loss. For real property, this amount can be based on a determination of the fair market value of the property before and after the loss. For vehicles this amount can be determined by local area private party sales and dealer quotations for comparable vehicles. Replacement cost less depreciation. A statistical specialist responsible for rate, reserve, and dividend calculations as well as other insurance-related statistical studies. Any one who has a financial interest in the property or auto. This is an individual, company or some other entity that is not considered the insured as defined under the insurance policy of another, but may be added to that policy by endorsement to afford a degree of insurance protection. A coverage sometimes written in conjunction with Aircraft passenger liability which can provide reimbursement for death or dismemberment without requiring legal action. An insurance company authorized to do business in California. Coverage provided under Liability policies which provides coverage against liability for libel, slander, violation of privacy, misappropriation of advertising ideas or infringement of copyright, title or slogan. The contract which establishes the legal relationship between the agent and the insurer.In addition to other features it sets forth the authority of the agent and his scale of commissions. A bill for the policy is produced in the agent’s office and the policyholder pays the premium to the agent. In-house computer capable of performing multiple functions accounting, client and policy information maintained and word processing are included. Other functions include diary/suspense, claims handling, sales and marketing, etc. Usually an insurance company appointed representative which is licensed by the state in which they do business. They can solicit, market, negotiate, bind, and administer insurance policies for the insurer. A type of policy limit found in liability policies which limits coverage to a specified total amount for all’ losses occurring within the policy period. Written with property insurance policies.It waives the Coinsurance clause and requires the insured to carry insurance equal to at least 80% of a signed statement of values filed with the company. Physical damage insurance provided to cover loss or damage to an insured aircraft, in motion, not in motion or both. Coverage written to cover public and passenger liability and property damage liability. Coverage that provides protection to airports for bodily injury and property damage liability. Insurance protecting the insured from loss arising from any peril other than those perils specifically excluded by name. This contrasts with Named Peril insurance, which names the peril or perils insured against. Property coverages which are closely associated and frequently sold with fire insurance: Dwelling insurance, Earthquake insurance, Sprinkler Leakage, etc. Form to collect information for a particular account . The division of loss among insurers when two or more cover the same loss. A survey of values in order to determine the appropriate amount of insurance to be written or the proper amount of loss to be paid. Clause which provides an appraisal procedure when the insured and the insurer are in disagreement regarding the amount of a loss.Insured and insurer each choose an appraiser, who, failing to agree, select an umpire. Agreement of any two of the three will be decisive. Transfer of a legal right or interest in a policy from one party to another (as when an insured property is sold). A condition in insurance policies that specifies that transferring the policy to another is not valid unless the company consents to it in writing. This a condition that can attract and injure people (namely children). The occupants of land on which such a condition exists are liable for their injuries. Procedure involving reporting and/or reviewing the policyholder’s records at sometime after the policy takes effect to determine the final premium for the policy. Insurance to protect against financial loss because of a legal liability act that has automobile related injuries to 9thers or damage to property of others. Coverage designed to indemnify against the costs of mechanical failures or breakdowns not covered under the dealer’s or manufacturer’s warranty. Insurance coverage to indemnify insured for damage to or loss of an insured automobile resulting from covered perils. Insurance which provides both liability and physical damage (also called Aircraft Hull insurance) coverage for aircraft. Liability coverage available separately for hangar keepers and airport owners or operators.